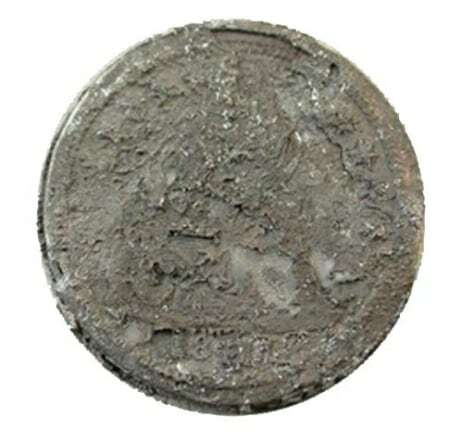 The head side of a silver dime was found in the wreck of the Confederate submarine H.L. Hunley and the coin was conserved by scientists in the Hunley lab. The story of the Hunley, the first sub to sink an enemy warship, is leading back to the Old World as researchers plan to spend weeks trying to discover the roots of four European crewmen.